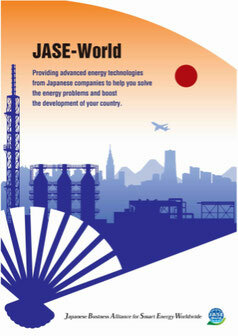 The JASE-W delegation visited Middle Eastern 3 countries, Saudi Arabia, Qatar, and Abu Dhabi (UAE). 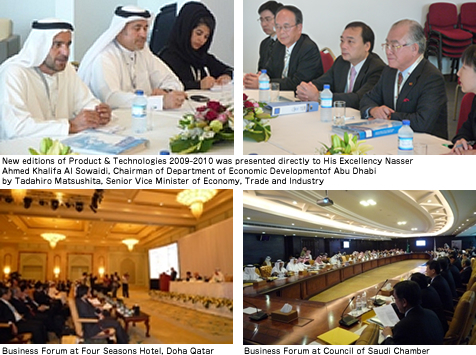 Matsushita Senior Vice Minister of Ministry of Economy, Trade and Industry participated from an official, and 18 company groups including 15 corporate members participated with Minami Chief Vice Chairman from the private enterprise. We held a business seminar in each country, and members of participation performed presentation of the Japanese superior energy saving / new energy technology and put a great success.